If you haven’t heard of a Mermaid Pillow before, get ready! They are so fun just to watch. Who knew sequins could be so entertaining? Anyone else feel better after watching this? How can fabric be so much fun? There are plenty of places to purchase Mermaid pillows online ranging from $10-$150 depending on where you look which makes for a great gift idea. The sequin mermaid pillow became popular back in January 2016 when a newscaster stumbled across some and aired it. Now, these pillows are apart of everyday home decor. The pillow covers work great for throw cushions or decorative pillows around the house. If you are interested in knowing more about this sequin fabric or possibly doing a craft, check out my post on Mermaid Sequin Fabric. etsy can customize your mermaid pillow! Etsy has some great vendors that will customize your personalized Mermaid pillow case to display whatever you want. How does it change colors? Mermaid pillows have pillow covers made with reversible sequins on one side which change colors depending on which direction they lay. The back side is usually just plain fabric which is nice for sleeping. 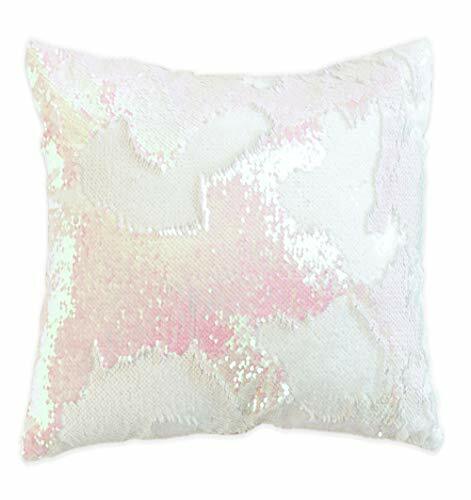 You can buy the mermaid sequin pillow case for a really good price online. Some companies like Mermaidpillowco.com will actually send you the pillow insert so you don’t have to hunt for one at the store. Here are a few indicators that will help you know it’s a good quality sequin fabric. It’s always a good idea to check out the customer ratings to see what others say. Here are examples of how you can use Mermaid pillows in your decor, but the possibilities are endless! Now that you have a Mermaid Pillow, how do you take care of it? Since these pillows are more decoration rather than sleeping, you might not even need to wash them at all. If you do remember a few things! If you see a string don’t pull on it! Take the pillowcase off and sew a sequin back on from the inside of the pillowcase. This is basic customer care. When it comes to stains, spot check first. If you can take out the stain by hand, it works best with a warm wet cloth. That stain might need more work! Hand washing is best in cold water with hand wash friendly detergent. When a stain is really bad (what were you doing? ), put it in the wash. Make sure it is inside out in a mesh lingerie bag. Machine wash should be on the gentle cold cycle, not putting to much strain on the sequins. Never iron your sequins to get rid of wrinkles. Leave the pillowcase in the bathroom while you shower and the steam should do the trick. 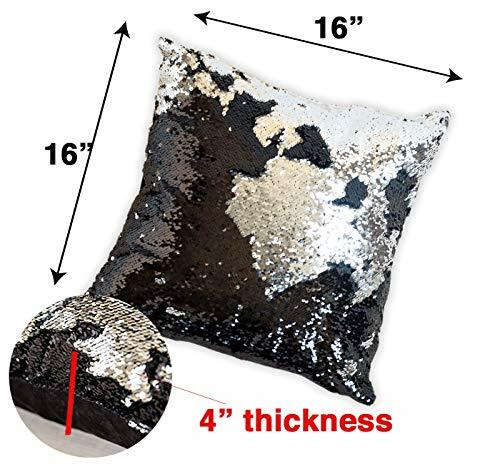 Reversible sequin pillows are a fun way to spice up home decor for either your living room or bedroom. Do a little research on the quality of the fabric so you can enjoy this mermaid pillow for a long time. I hope you have enjoyed this review! Feel free to leave a comment and let me know if there is a brand or color you like the best! 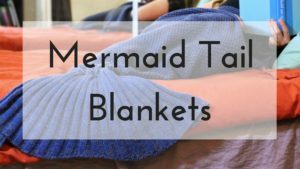 For other mermaid home decor items, check out my posts on mermaid tail blankets, and mermaid art! Hey! Thanks for giving me a good overview! I didn’t know there were so many great colors to choose from! I also wondered whether there were higher-quality ones than the ones at Walmart… And there are! So happy! Hi Sara! I am so glad you found this post helpful. I really loved researching all the different kinds of pillows and collecting the information in one place. Happy Holidays!!! 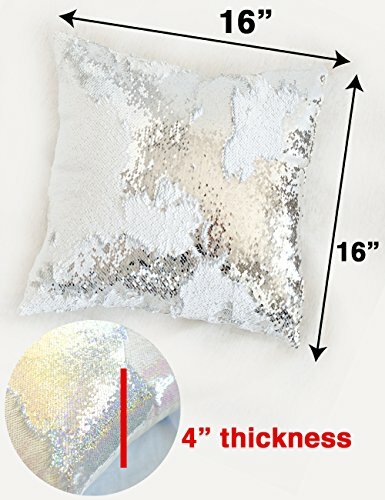 My only question is…what if it isn’t a pillow case, but just half the pillow is covered in sequins and the other half is just a regular old pillow? How do you clean it then? Hi Janine! Great question! I would suggest spot cleaning it with a rag if you can’t take the pillow case off. Cold to warm water if possible. You can add a little bit of gentle detergent if needed. These pillows are great, but more for decoration than sleeping. I hope that is helpful! I bought 2 of these pillows. One works really good and is soft the other one is kinds hard and doesn’t move as well. How do I get the second one to be more “flowy”? Are the pillows from the same company? Unfortunately, I don’t think there is anything you can “do” to make it more flowy except give it time. The second pillow just might need time to loosen up depending on the fabric and quality of the sequin. I would say give it a few months and if it doesn’t improve call the company and see if you can exchange it. I hope that helps! People are usually seeking more about mermaid pillows and firstly they forget specifications of the pillows and look on pillows which are amazing also beautiful. I would like to say that you have given alot information and i am glad to read about that. 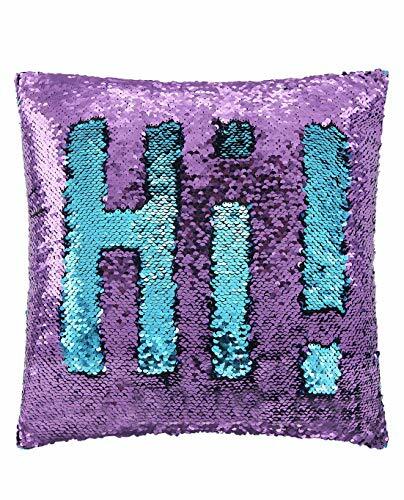 These glittery pillows looks beautiful on sofas, beds. Children take these pillows as a game and play with them. I love reading alot information. Keep it up.